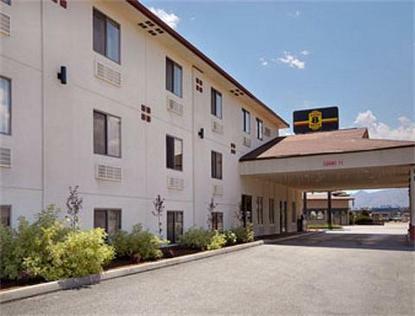 The Super 8 Wenatchee features 92 rooms, Interior Corridors, Super Start Breakfast, Free Wireless Hi Speed Internet, Modem/Dataport, Free Parking, Heated outdoor pool, Exercise room, Large vehicle and RV parking, Guest laundry, Pets welcomed in smoking rooms only, Public transportation/Link Bus at front door and a large comfortable lobby area. The property is located close to numerous full service and fast food Restaurants. A large shopping center is next door, which includes JC Penny's, Target, Shopco, Old Navy, Hallmark, Starbuck's, Post Office and several others.